In order to win a Michigan DAAD (Driver Assessment and Appeal Division) license appeal, you need to be in recovery. Recovery is the big “R” in a license appeal. It is a first and necessary requirement to win, and if you don’t fundamentally understand it, either as the person trying to win back his or her license or the lawyer handling the case, then you’re just flying blind. Sure, “the law”, and a “million little rules” govern a Michigan Secretary of State driver’s license restoration/clearance appeals, but underlying all of that legal and technical stuff is the requirement that you prove that you currently are, and will forever remain, sober. This isn’t much different than suing someone for an unpaid debt; you have to observe all the legalities and procedural requirements to sue him or her, but you also have to prove that the person owes you money. To win a Michigan license appeal, you have to be sober. “Sober,” in this sense, means a lot more than just “not drunk.” Anyone who is truly sober knows that “sobriety” means recovery, and if you’ve experienced recovery, then you know it’s a hell of lot more than just not drinking. This distinction is huge, and separates those who get it from those who don’t. As a driver’s license restoration lawyer, I like to think I’m unique in my understanding of these issues. Beyond just “knowing” them, I actually, formally study addiction at the post-graduate, University level. That’s a commitment of extraordinary effort, money (over $12,000 per year) and time on my part, but one that is incredibly rewarding and gives me a huge advantage in successfully handling license reinstatement cases. Being a great lawyer is all well and fine, but when I sit in the hearing room with my client and the hearing officer, I also have to be the foremost expert on alcohol, addiction and recovery issues, and I am. In order to win your license back, either through a Michigan restoration or clearance appeal, you must prove, by what the state calls “clear and convincing evidence,” two things: First, that your alcohol problem is under control (this is the easier task), and second, that your alcohol problem is likely to remain under control. This means that you have to convince a hearing officer that you have the commitment and the tools to remain sober for life, even in the face of endless offers of drinks and other temptations. To effectively do this, day after day, and to do it well enough to provide a guarantee, like I do, you have to begin with a genuinely sober client, and then possess the experience and skills of a good litigator, the understanding of a clinician, with a superior ability to communicate clearly, charismatically, and persuasively. Here, we can add another “r” to the mix; the ability to relate, both to the client, and then relate the client’s recovery story to the hearing officer. There are plenty of lawyers with great litigation skills, and/or who can write and speak very well. What separates me from that pack, and what separates a client with real potential to win a license appeal from those who just “need” a license, is a thorough and “lived in” understanding of the big “R,” meaning “recovery.” It is precisely this knowledge that enables me to screen out potential clients who are not genuinely sober, and provide a guaranteed win to those who are. Understanding recovery seems easy for someone who is actually in recovery, particularly in terms of the path that person has followed to get sober. Winning license appeal cases, however, requires understanding the whole spectrum of ways that people recover, from the tried and true 12-step programs like AA, things like CBT and REBT (cognitive behavioral therapy and rational emotive behavioral therapy), all the way to the somewhat uncharted waters of spontaneous recovery. Whether you believe it or not, or like it or not, some people can just decide that enough is enough and make the panorama of life changes necessary to get and stay sober all by themselves. Many folks in “traditional” recovery find this hard to accept, and, not surprisingly, so does the state, meaning the DAAD. This is where my specialized training and experience becomes invaluable, because I have the clinical knowledge to be able to prove this to the hearing officer, and have to make sure he or she understands that these lesser known paths to sobriety have been empirically validated through extensive research. t is very easy to think about “traditional” recovery in terms of counseling and AA, because that’s the most followed path. There used to be a time when you had to be active in AA to win a license appeal. Those days are gone, fortunately, because while it’s true that the 12-step approach is still the most successful overall, it is also true that many other people get and stay sober in lots of different ways, including having gone to AA for a while, and then left, when they felt strong enough in their sobriety. My job is to make sure that sobriety, and not the path you took to get there, is the focus of the case. If you are in AA, and love it, then you understand that the 12 steps can be a lifelong work in progress. For many people, AA is a lifetime deal. If you’re committed to it, you can keep learning more and more as you work the 12 steps. There are books enough to fill a library just about the 4th step alone. AA is a well that runs infinitely deep. People in AA can have a hard time imagining a person maintaining his or her sobriety without coming to the tables, but the fact is, many do. Anymore than a person who has accumulated 20-plus years of sobriety without AA can or should judge someone for whom meetings are an important part of recovery, a person who feels that AA is a necessary part of his or her recovery should not judge someone else who gets by without them. The interesting thing here is that these are almost 2 separate “schools of thought.” It’s almost like you’re either for AA, or not. Nothing could be farther from the truth, and that’s the modern lesson that science is teaching us: There are multiple paths to sobriety. In my line of work, I have to relate to those strong in 12-step sobriety, those who have gotten what they needed from AA before leaving, and those for whom it never held any appeal. Beyond that, I have to take all of their various recovery stories, or what I’ve called the big “R,” and translate them into winning evidence. I must understand both the clinical and human realities of recovery, the evidentiary reality of a successful license appeal, and put it all together in your case. Fortunately, I do that all the time, so much so, in fact, that I guarantee that if you’re really sober, and I take your case, I will win your Michigan license or clearance appeal. We can add yet another “r” to our big “R” – reality.. 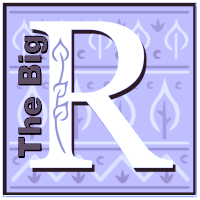 This article wouldn’t be complete without a twist, and in this case, the twist is on what we’ve designated as the big “R.” “R” stands for recovery, but within the context of recovery, there is also a focus on “relationships.” We’ve already added “relate” and “reality” to the big “R,” but here we confront the most significant of all facets of recovery; how your relationships change when you get sober. Anyone in recovery fundamentally understands the profound changes in relationships that come with sobriety. You get rid of the drinking friends, and in time, you earn, or in many cases, earn back, the trust and respect of those who really matter. If you go to meetings, you form new relationships there, talk about the ones you have on the outside, and work on them by doing things like making amends, and continuing to take inventory and promptly admitting when you’re wrong. You reassess your relationship to a higher power, almost always improving it, however you define a higher power. Even if you’re not in AA, your relationships change, as well. Think about your employment, and the things you like to do. Most people in recovery move up the ladder in life, or are at least on the way to doing that. Whatever else, when you spend your nights, particularly your weekend nights, just drinking, you don’t do much of anything else. Once the drinking is out of the picture, people begin to do stuff; they get outside, or take up hobbies and other interests. Some people are “homebodies,” but even those who just like to work around the house begin to get to know the people at their local Home Depot. The point is that sobriety not only brings about big changes in relationships, it forges much better and stronger relationships than ever existed back in the drinking days. Anyway, returning to the business at hand, I fundamentally understand these aspects of real recovery, and I know how to make sure these critical nuances of your recovery story get put into evidence. If you’re not it AA, I will make sure that the hearing officer doesn’t “default” back to an old-school concept of recovery that is AA-based. If your recovery is traditional, then we’ll explain how and why that works for you. If your path to sobriety is different, or even unusual, then we’ll make sure that the hearing officer is made to understand how and why you chose the right road for your journey. In the end, it’s all about the big “R,” and being able to explain it. I will make sure that happens, and that we win, guaranteed.